Pop culture often gets ahead of itself in writing off styles no longer in vogue among the younger set - even when tremendous music is still being made by the original creators. So while big band swing was considered hopelessly dated by the 1970s, Count Basie, Buddy Rich, Harry James, and Les Brown were still turning out some stellar sides  as good as their younger selves were making in the music’s heyday, and markedly better than the neo-swing combos that came on the scene in the 1980s and ’90s. Today, with classic 1960s and ’70s soul music now the focus of a second wave of revivalists  and even parody, in films like “Black Dynamite”  there are still soul veterans out there doing what they do best: Make wonderfully suggestive romance music in the style of Motown, Philly and Memphis. 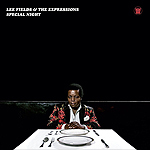 Lee Fields’ new album, “Special Night,” could have come out in 1970 and been a huge hit. And Fields would know, since he was there, recording and touring, even earning the nickname “Little J.B.” for the debt his singing style owed to James Brown. Now in his mid-60s, having outlasted most of the small independent soul labels he cut sides for  and even having outlasted the neo-soul movement of the 1990s and ’00s  Fields hasn’t changed all that much: He is who he is, and like Count Basie in the early 1980s, Fields is an artist wholly comfortable with his identity, at the peak of his creativity and technique, a master with his full palette at his disposal. The title track is a veritable archetype of classic soul: Catchy, immediate melody laid atop a complex structure with a thick-pile arrangement of horns, keys and strings behind Fields’ velvety vocal. On “I’m Coming Home” Fields finds a groove somewhere between and drawing upon both Otis Redding and the Isleys, melding Memphis and Philly. “Work to Do” is pure Memphis: Bright horns, relaxed vocal, tasty guitar fills. And so it goes for all 10 tracks: Not a filler to be found, each song a gem. Fields and his fellow musicians have created a collection of classic soul that is so good it would have passed muster in the 1970s, but avoid any hint of archival museum-exhibit staleness. It is living, breathing, vital soul music. Much like the recently departed Sharon Jones (whose Dap Kings backing band he has also recorded with in the past), Fields keeps the flame of classic soul burning  no matter what pop culture thinks.